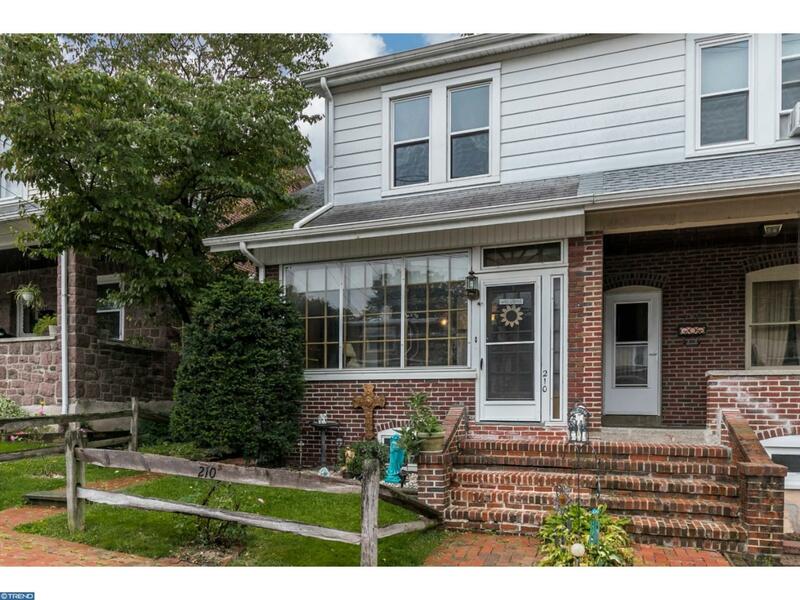 A most lovingly maintained home in the North End of Pottstown with the warmth and woodwork of yesteryear. This home boasts hardwood floors, wood beams and a brick fireplace that adds to it's cottage feel. The enclosed front porch offers all year seating and is an enjoyable space to curl up and read a book or a good place for an office or playroom. The living room and dining are open to one another and can easily be reversed. The rear kitchen offers double ovens, a cook top stove and its own breakfast/coffee nook. The second floor features 3 generous bedrooms and a hall bath with bathtub and a large vanity. The lower level has a finished space for a family room and its very own full bath with shower and laundry. Moving out to the exterior, this home has a great covered patio, with a built in grill area and sink. Fencing makes the pets happy and safely contained and beautiful gardens for those who enjoy a green thumb. Recent improvements include: new windows(2010), newer roof(2008), furnace upgrade(2017), new oil tank(2009), new fence(2016) and new stove and oven(2010). Inclusions Washer And Dryer Ac Units.